Special tax reporting requirements for US citizens have made some institutions wary of serving them, yet some have chosen instead to make this a speciality. In this exclusive interview, Mary-Anne Daly, UK Chief Executive of Cazenove Capital, explains how Schroder Wealth Management (US) is helping Americans navigate financial complexity. Schroder Wealth Management (US) was launched a year ago. What inspired the creation of the new business? Mary-Anne: We have been looking after international families for many generations and it was clear our service would be further enhanced with a dedicated US offering. America is the world’s largest economy and its citizens are among the most mobile and entrepreneurial people you will find, so it was right to do this well and obtain a Securities Exchange Commission (SEC) licence and a team of US specialist managers supported by the strength of Schroders. What are the specialist needs of US citizens and why might they not be best served by a “generalist” wealth manager when having assets managed outside of the States? Mary-Anne: US citizens are subject to both US tax legislation and the SEC rules governing permissible investments. It is important for our clients that our managers know what these are and manage portfolios in a tax-compliant and efficient way, being cognisant of both the US and UK rules. By only working with American clients our managers are always up to date and aware of issues that may require the involvement of another professional such as a lawyer or accountant. Generalists will not have the same degree of experience or knowledge. Who is the typical client of Schroder Wealth Management (US) and what are they trying to achieve with their wealth? Mary-Anne: Our US clients are wide-ranging in their professions and family circumstances. However, all of them have an international outlook, be it for their business or for their family. They are all aiming to preserve and grow their wealth through international diversification by using an investment manager based in London. Britain is a major global financial centre and has the accompanying expertise in the legal, accountancy and investment professions to serve Americans resident here or living abroad wishing to have their wealth managed from London. Our US clients are wide-ranging in their professions and family circumstances. However, all of them have an international outlook, be it for their business or for their family. Cazenove Capital Management is the wealth management business of Schroders in the UK (Schroders and Cazenove Capital merged in 2013), with the US offering sitting alongside it. How does the new division interact with Cazenove Capital Management and benefit from being part of the wider group? Mary-Anne: Both Schroders and Cazenove clients benefit from a first-class investment offering as would be expected from one of Europe’s leading asset managers. 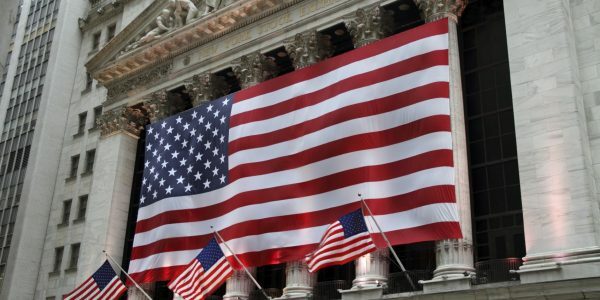 Schroder Wealth Management (US) is able to refer non-American clients to Cazenove and American residents who might not be managed by Cazenove can be looked after by Schroder Wealth Management (US). Families with both US and non-US members can be managed under the one roof but with advice specific to their circumstances US or otherwise. Schroders has private wealth offices in Singapore, Hong Kong, Switzerland and each works with the others to serve our clients. Families with both US and non-US members can be managed under the one roof but with advice specific to their circumstances US or otherwise. Who are the notable team members of Schroder Wealth Management (US) and what is their experience of working with US clients? Mary-Anne: They are Martin Heale, Janette Saxer and Michael Greenwood. All are dual US/UK qualified to give investment advice. Martin has a wealth of experience gained over 30 years looking after international clients. He was previously Head of the Americas team for six years with a Canadian bank. Janette has been advising US clients both in the US and UK for over 20 years and also looks after families in the Caribbean Islands. Michael is a highly qualified investment advisor running both discretionary and advisory portfolios for US clients. This specialist team have worked together serving the same families resident in the UK and US for nearly eight years now. How has the division grown since launch and what are your plans for its future development? Mary-Anne: It has been one of the fastest growing areas within Schroders. The response from the professional community in London, including lawyers, accountants and trust companies, has been exciting and highly supportive. We have also received a great number of enquiries from individual clients and we plan to continue to build on this success in the years ahead. If you would like to start a conversation with Cazenove Capital, please get in touch with our expert team.